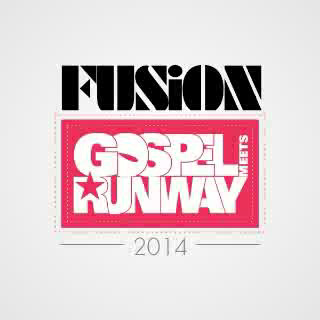 The “FUSION: GOSPEL MEETS RUNWAY” fashion show has been going on for two years. Now, in its third year, preparations are already on the way to make sure that this edition tops the lists, bends all ratings and makes everyone happy. Ourblogazine was at the first model casting on the 1st of June. I must say the determination in the models was the drive of the evening. Jerry Okon, CEO, MODELE MANAGEMENT was the coordinator and also choreographer/producer of the show this year. Three of the 15 designers that will be showcasing their designs in the show were also present; Anne Odok, Designs by Annie and Emmanuel Okoro, EmmyKasbit Bespoke Also, Joseph Edet, Lashakara wears and the fashionable Roby Ekpo. They acted in the capacity of judges. The models turned out in their numbers to show why they should be on the runway. some girls wore some very uncomfortable shoes but somehow they pulled it off. The boys, well, hairstyles I didn’t get. So many skinny boys that have broadened their chests by force… The best were chosen though..
Anywho…. CEO, ROD AND STAFF, the organizers of fashion show, Emmanuel Etim, said the show was put together for Christian entertainment, to show the strength of music and fashion, to expose designers, art and music talents. FUSION: GOSPEL MEETS RUNWAY has been grand over the years with DSTV coverage last year and this year, the red carpet is going to be manned by EL TV!! It’s expected to hold on the 20th of July, 2014 at Transcorp Hotel, Calabar. Get Ready! It’s going to be explosive. This entry was posted in Ads, Ourblog stuff and tagged blog adverts, fashion show, fusiongospelmeetsrunway, ourblogazine, rodandstaff. Bookmark the permalink.